Welcome to the cosmetic and general dentistry office of Dr. Barrett, where your smile comes first. We understand that you have countless options for whom you choose as your family dentist. It is our intent to show you what quality dentistry can mean for your smile. In addition to dental care backed by years of training and experience, our office is also a place in which patient comfort and convenience are prioritized. When you visit our Miami office, you can expect to be treated in the same manner we would treat our family. Your concerns are important to us, and we want to make sure all of your questions are answered so you understand what your options are to support, repair, or cosmetically enhance your smile. Whether your needs revolve around prevention, or you would like to improve some aspect of your smile with restorative or cosmetic care, know that you are in capable hands at the office of Dr. Barrett and team. Dr. Kevin Barrett’s team in Brentwood combine aesthetic principles with state of the art technology. Patients benefit from the use of digital radiography (90% less radiation), lasers and cerec cad cam dentistry (single visit dentistry). With cad-cam or single visit dentistry, an all porcelain (non metallic, non mercury) crown or onlay can be accomplished. Patients no longer need to wear temporaries, return for a second appointment or a second injection. Patients also won’t miss work a second day. 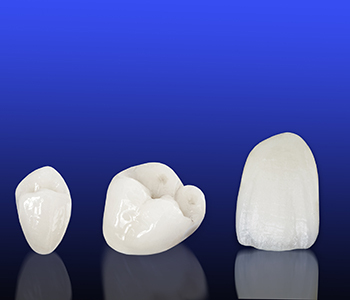 Cerec cad cam dentistry produces a beautiful and aesthetic porcelain restoration in one visit. Whether you are interested in developing a long-term plan for prevention or you have an immediate concern that needs to be addressed, you can feel good about the care you receive in our Los Angeles, CA office. We take time to explain the findings of your examination, and to discuss all possible treatment options with you so you can confidently choose the best approach for your unique needs.